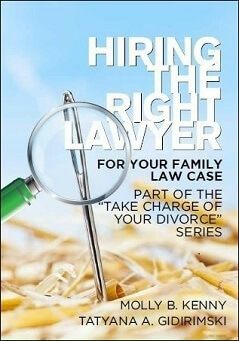 When it comes to divorce, child custody, and domestic violence, you are not alone – far from it. Stories of ending marriages, custody battles, and abused love are in the news every day, both on a national level and right here in the greater Seattle area. We can learn a lot from these current events stories, both about Washington law and others who may share similar experiences with you. Below, please read our collection of Bellevue, WA, legal news stories. 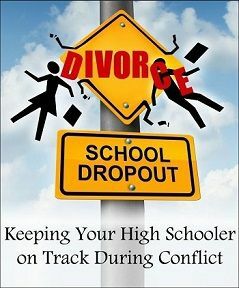 Effects of Parental Divorce on High School Dropout Rates Study finds that children of divorce have a lower chance of graduating high school. 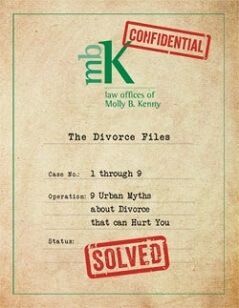 Molly B. Kenny mediation and divorce lawyer (425) 460-0550. 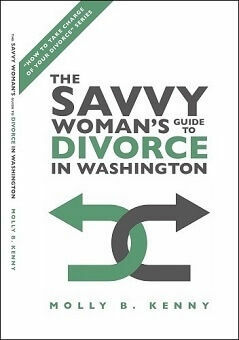 GOP Waging War on No-Fault Divorce With Long Waiting Periods Could you be waiting over a year for your King County divorce to be final? Find out which laws could affect the waiting period in your no-fault divorce. Can You Predict a Couple’s Divorce With Sleeping Positions? Do separate sides lead to separate lives? A new study suggests that the way you and your partner sleep may predict your King County divorce. Living Together Before Marriage Doesn’t Always Lead to Divorce Could your marriage be over because you lived together before marriage? A recent study adds new information on this topic. Study Says Regular Twitter Use Leads to Cheating and Divorce Could a Tweet a day keep your spouse away? A new study has linked Twitter use to greater infidelity and higher divorce rates than non-Twitter users. What Republican Tax Changes Could Mean for Seattle Divorcees Learn what the proposed Republican tax overhaul could change for divorcees in Seattle and around the country if becomes federal law. Could Facebook Lead to Infidelity in a Washington Marriage? Find out the results of a recent study about Facebook and learn why the popular social networking state could lead to infidelity in a Washington marriage. How the Economy May Impact Divorce in Washington and Around the U.S. Are you seeking a divorce in Washington or elsewhere in the U.S.? Find out how the economy may play a role in the number of couples seeking a divorce this year. WA Lawmaker Suggests Change to Washington Child Support Law Learn the details of a bill proposed by a Port Orchard lawmaker that could change the child support law in Washington. Washington State Child Custody Statistics & Facts What really happens once a child support order is issued? Find out the latest national child support statistics from the Congressional Research Service. Warning: Cold Temps Can Lead to Domestic Violence Sexual assault experts warn that domestic violence cases increase in winter weather, probably because families are trapped in their homes for extended periods. Study: What Do Divorcees Regret the Most? A new study has found that the two biggest regrets divorcees have are how the split affected their children and how the split affected their finances. Details here! 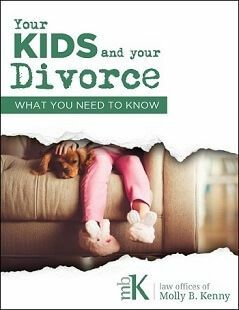 Study: Parents Often Underestimate How Divorce Affects Their Kids A new study has found that those going through a divorce often don’t realize the extent to which their children are emotionally affected by the split. Study: Divorce Now May Increase Ability to Experience Pleasure Later A new study has found that divorce may temporarily depress your ability to feel pleasure in daily life, but may enhance your ability to savor life later on. New Study: Some Don’t Divorce Out of Fear of Loneliness A new study has found that a fear of loneliness and being alone may prevent many people from seeking a divorce—even when they are unhappy with their partner. Could Heavy Drinking Lead to Divorce? A New Study Sheds Some Light. A new study has found that couples that drink similar amounts are less likely to divorce than those with significantly different drinking habits. Your Childhood Photos Could Reveal Your Divorce Risk A divorce study has discovered that people who do not smile widely in their college yearbook photo are five times more likely to experience a divorce. Seattle Police Department Shifts Domestic Violence Response A King County Prosecutor shared his concerns about a new Seattle Police Department policy that allows patrolmen to investigate domestic violence misdemeanors. Another Study Concludes That Divorce Can be Contagious Researchers have found that divorce can indeed be contagious—knowing someone who is divorcing raises your chances of a split by 16 percent. Causes of Divorce May Not Be What You Think A few of the most common causes of divorce today are unreasonable behavior, secret spending and long commutes.